(VEN) - Enterprises need to change their thinking and business administration methods, apply software programs, and create added value based on quality if they are going to catch up with the fourth industrial revolution. A quick survey by the Vietnam CEO Forum shows that 18 percent of businesses had deployed a project related to artificial intelligence (AI) or block chain. About 88 percent of surveyed businesses recognized the competitive advantages of AI, while some 55 percent would deploy a project involved in AI and block chain in the next six months. Many Vietnamese enterprises have approached new technologies. For example, Viettel is engaged in research and development of high-tech in all digital services, while VinFast has cooperated with foreign investors to provide the car manufacturing plant with automation technology. Commercial banks have also created new services based on AI and big data. Many provinces and cities throughout the country are pursuing smart city development goals. Ly Ngoc Minh, chairman of the Board of Directors of the Minh Long I Ceramics and Porcelain Wares Company, said technology plays a vital role in the development of enterprises. Since 1996, the company has imported machinery and automation equipment in order to reduce costs and improve competitiveness. 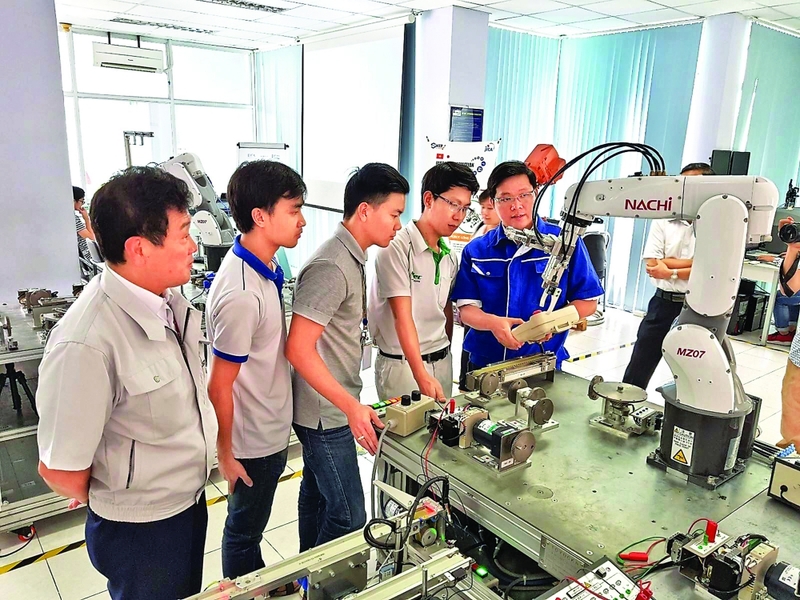 Nguyen Minh Tri, deputy general director of VNG, said technology is a way to resolve business problems, but its application requires process and analysis. 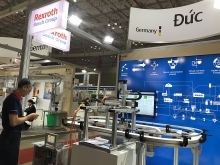 In fact, Industry 4.0 provides many development opportunities for enterprises. However it also poses challenges, among them the displacement of jobs and workers by automated plants and robots. Therefore, workers must continuously improve their skills. Enterprises say they will face difficulties in catching up with the fourth industrial revolution without the government’s support. However, Senior AI & Technology Consultant Albert Antoine cautioned that enterprises would become dependent on the government if they receive heavy support and should therefore seek investment plans suitable with actual conditions. industrial revolution, enterprises need to change their thinking.